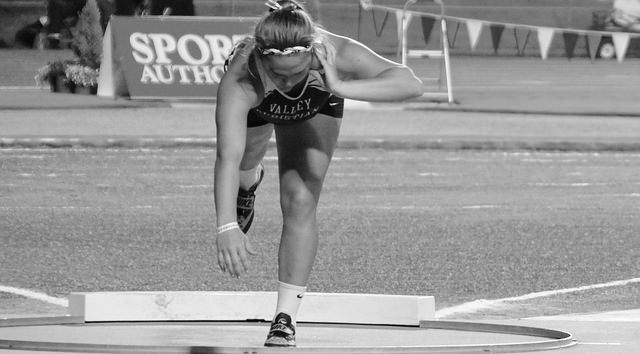 San Jose, CA - Valley Christian Women's Track & Field heads into 2016 with a balanced team that is coming off the most successful season in program history. 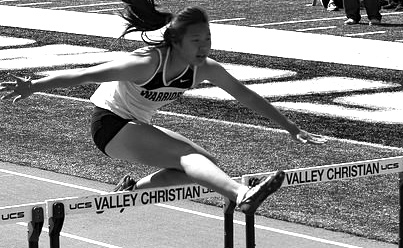 Propelled by two individual state champions, the Lady Warriors finished second place in the team competition at last year’s California State Championship. 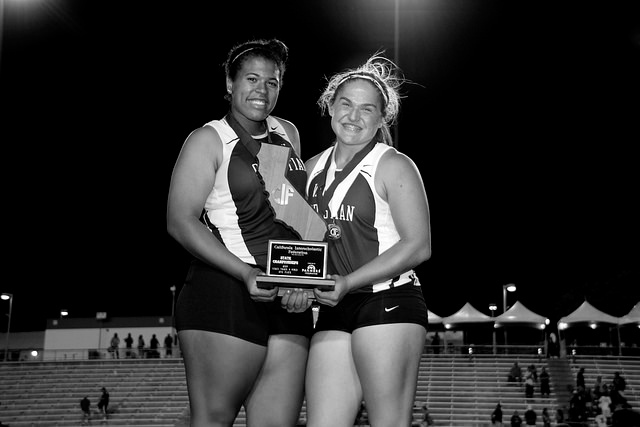 Making the fete even more impressive is that there are no divisions for Track & Field, making it one of the few sports that is a true State Championship, representing every high school in California. Last season the Warriors displayed depth across every discipline, but none more impressive than the throws. Led by Elena Bruckner, her breakthrough season grabbed national headlines as the gliding southpaw smashed the CCS record in the shot put with a throw of 53 feet, 5.5 inches. That throw ranks her #10 all-time in U.S. History. Bruckner also ended the season with a CCS record and #1 national ranking in the discus. She is one of just three athletes to earn recognition on both national all-time lists for shot put and discus. For her outstanding achievement last season, Bruckner was awarded the Bay Area Athlete of the Year by both the San Jose Mercury News and the San Jose Hall of Fame. Also returning in the throws is Athya Iese. Last season she was the only Freshman to make the CCS Final, her personal best throw of 39-0 from the CCS Trials is a freshman school record. She finished the season with a 6th place podium finish at the CCS Championship. Combined with Ronna Stone who graduated and is now competing at the University of Oregon, the Warriors placed three in the top 6 at the section championship. Anna Maumalanga also returns this season. Maumalanga finished the season atop of the Junior Varsity division where she threw a personal best 30-11 in the shot put and 91-0 in the discus. Ronika Stone had never tried the high jump before but the Volleyball star is known for her jumping ability. In her first try Stone jumped 5 feet. Within a matter of a few weeks she on her way to a school record and personal best of 5-5 winning the WCAL championship in the event. Stone, will play Volleyball at the University of Oregon next fall. Tori Dilfer, a fellow volleyball teammate, also was a top ranked high jumper in the WCAL finshing the season with a personal best of 4-8. Stone, Dilfer and Bruckner were members of the Valley Christian volleyball team that won the DIII State Championship this fall. Caitlyn Rowland is the top returning sprinter this season and is looking not just for a breakout season, but redemption. After a strong start last season she was sidelined with injury just a few meets into the season. Rowland worked hard to return and made it back in time for the WCAL Championship. She was one of eight sprinters last season to dip into the 13 second range for 100 meters. While the aforementioned injury sidelined her from her top event, the intermediate hurdles, she finished the season with personal bests in the 100, 200 and 400 meter races. Adeline Bui had never run before so coming out for track & field as a freshman she was not quite sure what to expect. It was tough going the first few months but she quickly found her groove and has been on an upward trajectory ever since. Now a junior, Bui enters this season determined after qualifying for the WCAL final in both the 100 and 200 meters at the JV division last season. She will be joined by Sydney Clark and Tiffani Johnson who also had a strong showing last season and are two of the top returners in the 100 and 200 meter events. Clark finished the season with a season best mark of 13.45 seconds, Johnson ran a season best 13.56. For nearly a decade the Valley Christian hurdle crew has been dominant at the league level and the team looks to continue that tradition this season. Nicole Shak was on fire in the early season last year before taking a fall over the last hurdle that knocked her out of the rest of the season. The JV champion as a freshman, Shak is looking forward to getting back on the track. Caitlyn Rowland finished second in the WCAL JV division as a freshman at the 300 meter hurdles and is looking to attack the record books this season. Hannah Lee was a WCAL medalist last season in the JV division and is expected to be a major contributor to the varsity team this season. 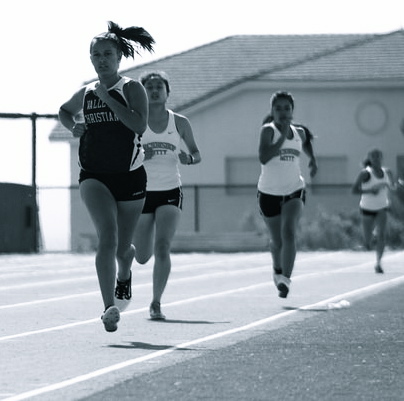 Brianna Becerra returns as the top returner of the distance crew. Running an impressive 12:15 over 3200 meters as a freshman, Becerra’s mark ranks #11 all-time in school history. She also earned personal bests of 5:46 in the 1600 and 2:45 in the 800. It was a strong year for the freshman class last season as two other freshman ran in the 12 minute range for 2 miles. Camille Reed debuted in her first race, running 12:53. Hannah Theaker finished the season running 12:56 at the WCAL Championship. Kailey Eddy is looking to return to top form this season. Eddy owns personal bests of 5:34 (1600) and 11:48 (3200). After a injury held her out for the early season she finished strong running 5:46 for the 1600 meters. Middle Distance also is returning a strong core of runners. Vanessa Zenere is the top returner in the 800 meters where she finished the season with a personal best of 2:29. She also was one of eight girls to crack the 6 minute barrier with an impressive debut of 5:50. Kiko Li (2:33, 5:45) and Sophia Patterson (2:33, 5:54) will also be major contributors in the distances this season. The Valley Christian Track & Field team opens its season March 5th at the Willow Glen and Dan Gabor Invitationals.